A major extension and remodelling of the museum (Rick Mather Architects, 2009). 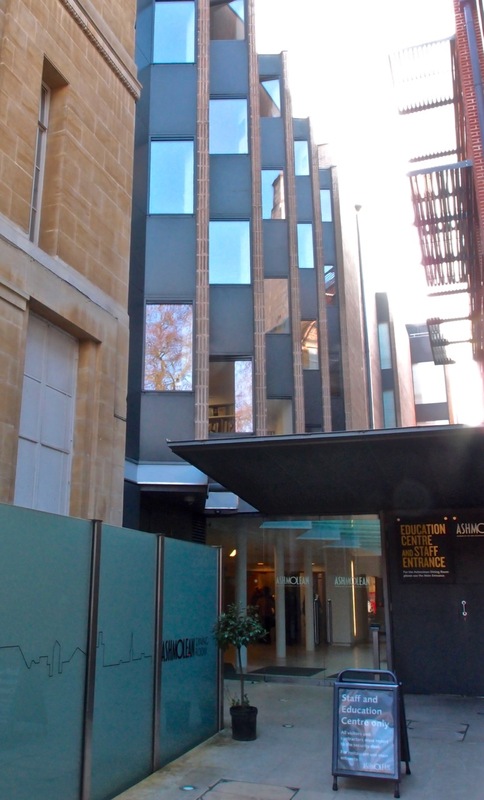 The additions to the museum comprise some 9,000 m² over six floors, doubling the exhibition space and adding an education centre, a restaurant with a rooftop terrace, conservation studios, a new loading bay, and a secondary entrance from St Giles. 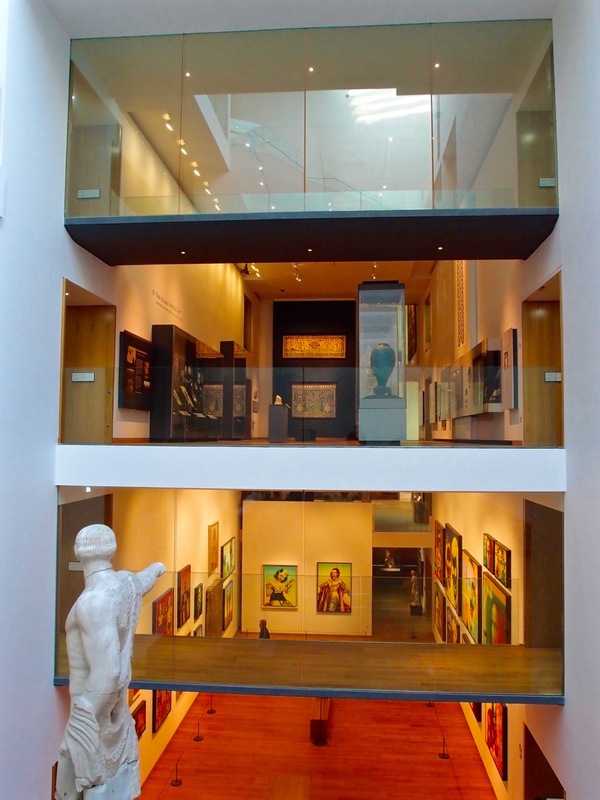 The Ashmolean Museum of Art and Archeology opened in its old building on Broad Street (now the Museum of the History of Science) in 1683, one of the earliest public museums in the world. The present museum building, completed in 1845, was designed by C R Cockerell in a Greek Revival style. Rick Mather’s extension, largely invisible from the surrounding streets, replaced later nineteenth century buildings to the rear. It has substantially enlarged the museum and transformed the interior spaces. A new atrium provides the central organising space, with curving flights of stairs to one side, giving views into single and double height galleries, and bridges linking the galleries at each level. A second phase, involving a redesign and additions to the Egypt Galleries, also by Rick Mather, was completed in 2011. RIBA Award 2010; OPT Award 2010; shortlisted for the Stirling Prize 2010. References: Jay Merrick, ‘The Ashmolean Museum of Art and Archeology by Rick Mather Architects’ [WWW], AJ, 30 Sept 2010; Blueprint Magazine, ‘Best British Architecture of the 21st Century – VI’ [WWW], DesignCurial, 10 Jan 2011. Cross section from St Giles. © Rick Mather Architects. Ground floor plan. © Rick Mather Architects.